When Should I Book My Wedding Package? 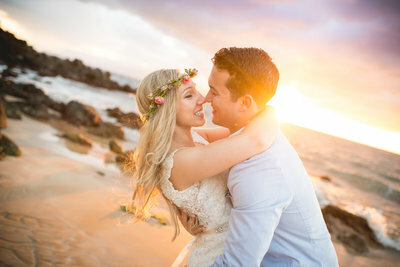 Alexis and Timothy’s Maui Elopement looked like something straight out of a fairytale! I mean just check out that dreamy light and the colors in the sky! We cannot get over how perfect this evening was. What made it even more magical was the variety of wildlife at Southside Beach. Throughout their ceremony dolphins were jumping in the background and chickens were walking the beach, which made them so happy (on top of having whales in the background too)! Talk about a dream wedding! 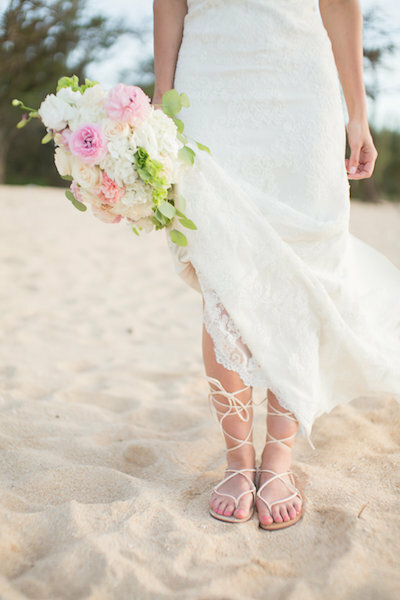 Alexis’ stunning bridal attire was the perfect choice for a Maui Elopement on the beach. We are obsessed with her Custom Bouquet and matching Flower Crown! As for her dress, she told us she knew this was “THE” dress as soon as she tried it on for the first time. Would you believe it was the only dress she tried on too!? Everything fell into place for this intimate wedding ceremony perfectly and we loved being part of it all 🙂 . With the bride’s mother Sonya as the only guest, we were honored to join in witnessing these sweet moments in front of the setting sun. 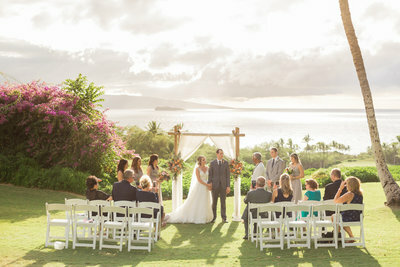 Thank you, Alexis and Timothy, for sharing this special day with Simple Maui Wedding! We wish you every happiness on the journey ahead. Congratulations and Warm Aloha!